Islam Slimani wants out of Leicester City this winter, according to claims which have fed through from Algeria. The Leicester City striker is tired of not being given chances at the Foxes, and is looking for the exit. It could have been very different for Slimani. Back in August 2016, Everton were repeatedly linked in the Portuguese media, having had someone watch the Algerian international. On the last day of the 2016 summer window, Slimani signed for Leicester in a deal nudging on £30m including add-ons. Jamie Vardy, who had been half expected to leave, didn’t, and so Slimani was never going to be anything more than a back-up. Signing Kelechi Iheanacho from Manchester City during the last window, Leicester City have a wealth of riches upfront that would make some other clubs green with envy. One of them being Everton. So with Slimani looking for a way out, and Everton having a glaring striker vacancy, it’s a potential move than becomes more obvious the longer it’s looked at. Steve Walsh moving to Everton can only underline things. Although it must be mentioned there were some claims in Portugal that Slimani was a Claudio Ranieri signing rather than a Walsh purchase, it was a minority and the striker appeared to be very much a club purchase. Shakespeare is now gone, like striker-less Ronald Koeman at Everton. Although big transfers are rarer in January than the summer, Slimani is one which stands out as possible. 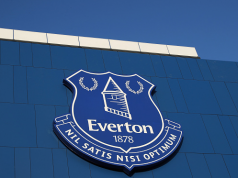 Who Everton take on as their next manager could be crucial. Marco Silva had been an early favourite to take over at Goodison Park, but it seems Watford have no desire to let him go. If Everton rated Silva’s judgement enough to want him as manager, then there’s a free Marco nugget right there. Slimani has been granted a grand total of 108 Premier League minutes so far this season, with no goals and an assist to show for it, but Leicester have been giving the striker chances in the EFL Cup, and he’s been taking them. Playing in all 3 of Leicester’s matches in the competition this season, Slimani has scored goals. And it’s not been against The Dog & Duck, with the striker notching against Sheffield United, Liverpool and Leeds United. In his last PL appearance for Leicester, against West Brom on October 16th, Slimani was granted 15 minutes, and that gave him time to set up Riyad Mahrez for the equaliser. Last season he scored 7 and assisted 4 in 1280 minutes of PL football, and the season before managed 31 goals for Sporting. Sure, he’s 29 years of age, and doesn’t have the benefit of youth, but this looks an obvious option for Everton.